Yet neither insurance companies nor their policy-holders can do anything about one of the biggest risks -- namely, interference by politicians, to turn insurance into something other than a device to deal with risk. By passing laws to force insurance companies to cover things that have nothing to do with risk, politicians force up the cost of insurance. Annual checkups, for example, are known in advance to take place once a year. Foreseeable events are not a risk. Annual checkups are no cheaper when they are covered by an insurance policy. On the contrary, they are one of many things that are more expensive when they are covered by an insurance policy. All the paperwork, record-keeping and other things that go with having any medical procedure covered by insurance have to be paid for, in addition to the cost of the medical procedure itself. If automobile insurance covered the cost of oil changes or the purchase of gasoline, then both oil changes and gasoline would have to cost more, to cover the additional bureaucratic work involved. In the case of health insurance, however, politicians love to mandate things that insurance must cover, including in some states treatment for baldness, contraceptives and whatever else politicians can think of. Playing Santa Claus costs a politician nothing, but it can cost the policy-holder a bundle -- all of which the politician will blame on the "greed" of the insurance company. Insurance companies are regulated by both states and the federal government. This means that, instead of there being one vast nationwide market, where innumerable insurance companies compete with each other from coast to coast, there are 50 fragmented markets with different rules. That adds to the costs and reduces the competition in a given state. When there are innumerable insurance companies, it is by no means clear that political regulation of them will produce better results than the regulation provided by competition in the market. In a competitive market, insurance companies would cover only those things that their policy-holders are willing to pay to have covered. Policy-holders would have no reason to pay to have insurance cover things that would be cheaper if paid for directly -- or not paid for at all, in the case of things that are not a real concern to many people, such as baldness cures. One of the factors in the number of the "uninsured," for whom politicians are willing to turn the whole medical care system upside down, is the high cost of insurance that covers far more things than most people would be willing to pay for, if it was up to them. The uninsured who use hospital emergency rooms and don't pay are a problem only because politicians passed laws forcing hospitals to let themselves be taken advantage of in this way. Too many political "solutions" are solutions to problems created by previous political "solutions" -- and will be followed by new problems created by their current "solutions." There is no free lunch. In the case of health insurance, there is not even an inexpensive lunch. Health insurance would be a lot less expensive if it covered only the kinds of risks that can involve heavy costs, such as a major operation or a crippling disability. While such things can be individually very expensive, they don't happen to everybody, and insurance is one way to spread the risks, so that the protection of a given individual is not prohibitively expensive. The problem of "pre-existing conditions" is a problem largely because of the way that politicians have written the laws -- more specifically, by giving a tax break to employer-provided health insurance. If individuals bought their own health insurance, with the same tax advantages, the fact that an illness occurred after they changed employers would not make it a "pre-existing condition." There is no inherent reason for employers to be involved, in the first place. The fact that some guy manufactures furniture or plumbing fixtures in no way qualifies him to understand insurance for his employees. Including him in the loop adds another unnecessary layer of bureaucratic costs. Political risks are the biggest risks. can remember not all that long ago, in the '80s, going to a doctor for an annual physical and being able to pay for it with cash on hand. It was when insurance companies started lumping everything into policies that prices got out of hand. Now that Obamacare is with us, at 63, I'm going to have to pay for free maternity care, free contraceptives, and free prostate exams that I will never use... because it is all included in my health care coverage. The greatest thing about private insurance is that I was able to eliminate those things from my coverage. [The Democrat] complaint runs, conservative groups will have enough money to flood the airwaves with attack ads, drowning out more representative voices and creating an artificial Republican tide. the practitioners sound far less certain that a record-breaking advertising blitz will be enough to unseat a sitting president. It was actually Democrats who proved how little electoral success an abundance of riches could buy in 2004, when left-leaning 527s (a sort of precursor to super PACs) spent almost twice as much as right-leaning ones without toppling Mr Bush. But it is hard to change voters’ views of an incumbent, after four years in which they have been building up firm impressions of their own. Worse, says Steven Law, the president of both American Crossroads and Crossroads GPS, Mr Obama is a particularly tricky man to tear down. Voters are well disposed towards him. They bridle at attempts to label him a liberal and recoil when he is mocked or attacked too aggressively, perhaps because of his status as the first black president. A tone of regret and disappointment, rather than anger or indignation, is imperative. 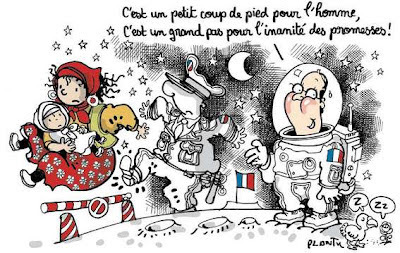 Two weeks ago, Le Monde Watch revealed a Le Monde reader who, because of his haughtiness towards the United States and its people, had two letters published in the space of three days! Two weeks later, believe it or not, Le Monde publishes a third letter to the editor of André Fromon's! Yet another letter which — on s'en doute — uses the catty expression United Statesers. Which Armstrong Are We Talking About Anyway? • only to win the Tour de France seven times! • How could we let ourselves be fooled for so long? in Norway, reports The Economist. They are happy to have a party while black people are drowning. This despite the fact that not one soul had yet to drown from a hurricane Isaac that has yet to reach the continental US, and the pigmentation of that imaginary friend of theirs’, a leftist human political prop has yet to be established. The fact that the Democrats’ proxies, with braying idiocy, vuvuzelas, and a readily discernible aroma otherwise reserved for those who actually labor, are unperturbed by “black people drowning” to an even greater degree goes unmentioned. … the way the media focus relentlessly on gaffes and ignores substantive issues when covering one side, while ignoring gaffes and issues critical of the other side, does serious damage to the integrity of news reporting. That is what Michael Ramirez concludes when taking off from editorial cartooning to pen a viewpoint for Investor's Business Daily: Media's One-Sided Coverage Is Clear Evidence Of Bias. In an elementary school in Trenton, New Jersey, reading off a flash card that had been prepared by the teacher, the special guest counseled the child writing potato on the blackboard, "You're close, but you left a little something off। The 'e' on the end." The media reacted swiftly and relentlessly. The story was on all the front pages and was carried by all the major networks. To the mainstream media, it was the moment that Dan Quayle confirmed "what a waste it is to lose one's mind." It didn't matter that the flash card given to the vice president was prepared by a teacher and was itself misspelled. It was carried on every news wire, every news program and in every late night TV monologue. Quayle's mind must have been on other things. It wasn't like he repeated the mistake in all 57 states, or more precisely in Beaverton, Ore., in May 2008; or while traveling on the "Intercontinental" railroad in Cincinnati on Sept. 23, 2011; or perhaps, while he was speaking to the "President" of Canada in Chicago on Aug. 7, 2007. He might not have known how to say it in "Austrian" while in Strasbourg, France, on April 5, 2009; or perhaps he was thinking of "Polish Death Camps" at the White House on May 30, 2012; or thinking about when he met with world leaders in that splendid "Asian" city, Honolulu, on Nov. 16, 2011. He might have been thinking of the brave Navy "corpse" man at the prayer breakfast in Washington, D.C., on Feb. 5, 2010, which may not sound so strange to someone who also said: "On this Memorial Day, as our nation honors its unbroken line of fallen heroes — and I see many of them in the audience here today..."
All these examples were unreported or under-reported gaffes of President Obama. The mainstream media didn't seem to think these incidents were worthy of a media feeding frenzy, unlike those of poor Dan Quayle. If Vice President Quayle had only been misspelling "Ohio" as "Oiho" with three college students instead of one elementary student, at an institution of higher learning like Ohio State University instead of an elementary school, the media would certainly have ignored it. Or, perhaps, they would have been all over it, as the Washington Post was ... quick to defend President Obama, claiming the photo must have been "Photoshopped." Unfortunately for the Post, the incident was captured by several different cameras from multiple angles. Oops. Apparently, misspellings are only important when they are done by someone with whom they philosophically disagree. It was an unimportant issue that was wildly blown out of proportion by a biased media back in 1992 and now, completely ignored by a hypercritical and biased media in 2012. And there's no better example of the double standards and inherent bias of the media today. In a surprise March 6 press conference, the president again had an opportunity to repudiate the disgraceful Priorities USA ad blaming Mitt Romney for the death of Joe Soptic's wife. He declined to do so. It's an important story, one that reveals the character of both the Obama campaign and the president himself. And yet, the real story behind it remains virtually uncovered. A quick refresher — an ad for Obama featured laid-off steel worker Joe Soptic, who blamed Romney for losing his job and his health insurance and, incredibly, for killing his wife after Bain Capital acquired the GST Steel plant in Kansas City, Kan., in 1993. The story goes that because his wife was no longer covered by his health insurance, her cancer went undetected and she had no access to proper health care and subsequently died. Unfortunately for Joe's story, Romney had left Bain two years before Joe lost his job. His wife had retained her own health insurance through her job. Six years later, she went into the hospital for pneumonia and they detected cancer. Tragically she died shortly after. At that time, seven years after Romney left Bain and five years after Soptic had lost his job, Romney was governor of Massachusetts. Initially, the White House denied any knowledge of the ad. Obama campaign spokeswoman Jen Psaki said, "We have nothing, no involvement, with any ads that are done by Priorities USA (the super-PAC that ran the ad). We don't have any knowledge of the story of the family." Deputy campaign manager Stephanie Cutter continued that line, telling CNN, "I don't know the facts about when Mr. Soptic's wife got sick, or the facts about his health insurance." These explanations were implausible because the Obama campaign had featured Joe Soptic and his story on a May 14, 2012, conference call set up by the Obama campaign. This contemptible ad reflects the worst of politics. The fact the president does not have the character to publicly demand the ad be withdrawn and condemned reveals more about President Obama than it does about Mitt Romney. But that's typical of an administration that routinely lies, distorts and fabricates to divert attention from its own abysmal record and that will do anything to get re-elected. The real question is whether the Obama campaign and Priorities USA coordinated their message, which would be illegal. The White House says no. Of course, they also claimed to have never heard of Joe's story. But this story, like many others, can be found in the same place where the stories about William Ayers, Jeremiah Wright, the real cost of the GM bailout, Sec. 407 of the Welfare Reform act, the source of national intelligence leaks and the truth about Operation Fast and Furious reside. And that, as far as the media are concerned, is nowhere. As White House reporter for ABC News Jake Tapper recently commented, "The media is failing the country." A July 16 Rasmussen poll revealed "59% of likely U.S. voters believe Obama has received the best treatment from the media so far" and "51% expect most reporters to help Obama." Only 9% expect the media to help Romney. The media should, at bare minimum, be expected to reveal the truth. But it won't even do that. Still the media focus nonstop on unsubstantiated reports about Mitt Romney's tax returns — not on anything substantial. MSNBC analyst Mark Halperin, when asked about Mitt Romney's tax returns on the Today Show, said, "The press still likes this story a lot." He added, "The media are very susceptible to doing what the Obama campaign wants, which is to focus on this." The fact the media are susceptible to do what any campaign wants is disturbing enough. But the way the media focus relentlessly on gaffes and ignores substantive issues when covering one side, while ignoring gaffes and issues critical of the other side, does serious damage to the integrity of news reporting. In a letter to Dr. James Currie in 1786, Thomas Jefferson wrote, "Our liberty depends on the freedom of the press, and that cannot be limited without being lost." But what of a press that limits itself to only covering news that favors its own political ideology? Since the recovery began in June 2009, real median household income has fallen 4.8%, according to a new report from Sentier Research. This report is especially damning because incomes only dropped 2.6% during the recession. Shouldn't this be front page news? The deficit is closing in on $16 trillion. That's $1 trillion more than our entire GDP in 2011. The U.S. is on its way to becoming Spain. The president's solution? Raise taxes on the upper 2%. But that takes in only about $45 billion. The CBO reports our deficit in 2012 is $1.1 trillion. Where are the media truth tellers on this? ABC's Tapper criticized the media for not covering the economy more. "A lot of people are hurting out there," he said. "Unemployment is 8.3%. That doesn't even take into account the underemployed." In recent polls, the most important issue to Americans continues to be the economy and jobs. What's not being reported is that there are fewer people employed today than at the end of the last recession — the longest spell without net jobs growth since at least World War II. According to the Bureau of Labor Statistics, at the end of the recession 59.4% of Americans had jobs. That's just 58.4% today. As Joe Biden said in Athens, Ohio, on October 15, 2008, "The No. 1 job facing the middle class, and it happens to be, as Barack says, 'a three-letter word': jobs. J-O-B-S."
No one is more of an expert on gaffes than Joe Biden. But don't tell that to a biased media. The media's No. 1 job should be to cover the substantive issues of this campaign without regard to party affiliation or philosophical bias. That it's now acceptable for many in the media to flaunt their bias should be, to use Joe Biden's words, "a big f-ing deal." Sadly, it isn't. We are cheerfully told that blindingly expensive and unreliable “resistance” will get a big boost in Europe because Europe has rejected the idea that shale gas is any sort of option their élite green mafia will countenance. Unless carbon capture and storage can be developed on a commercial scale, that means gas as a fuel has a limited future and should not be invested in too heavily, environmental campaigners say. They are especially against shale gas, whose environmental credentials are questioned in Europe. Of course it will get “a boost.” All other, cheaper, more productive, and non-impoverishing forms of energy are being held hostage by taxing any form of energy commensurate with unapproved thoughts, not to mention their energetic potential. They also demand a public enthusiasm for it as well – akin to the vigorous marching in a May Day Parade. Researchers at the Massachusetts Institute of Technology (MIT) say this is good news for renewables. "When shale is removed from the market, renewables gain more ground," they wrote in a report earlier this year. "We need natural gas as a transition fuel. However, we don't need such a huge amount of gas and certainly not cheap gas, because that would kick out not just coal, but also renewables," Greenpeace renewable energy director Sven Teske said. It seems that quotes from Greenpeace is all it takes to turn something into ‘news’. Oddly enough, even a small amount of reporting on the subject undermines the argument, and reips the mask off of those making the case too. Investment in renewable energy rose by 5% to a record €208 billion worldwide in 2011, but that growth depended to a large degree on government subsidies. If subsidies are cut, the risk for Europe is that cheap coal - not gas - could dominate the market and carbon emissions carry on rising. Most utilities in Europe cannot earn a profit from their electricity if it is generated from gas at today's prices, because gas - in contrast to cheap US gas - is too expensive, and coal and carbon emissions certificates are relatively cheap. And yet the product is taxed to subsidize politically vain forms of energy to, you know, make it seem “profitable,” as if that alone made its’ cost to society neutral. One giant leap for the inanity of promises! "The condition upon which God hath given liberty to man is eternal vigilance." Whe he’s not abusing the church and the papacy, he uses it as a political beratement device against those whose politics he finds distasteful. 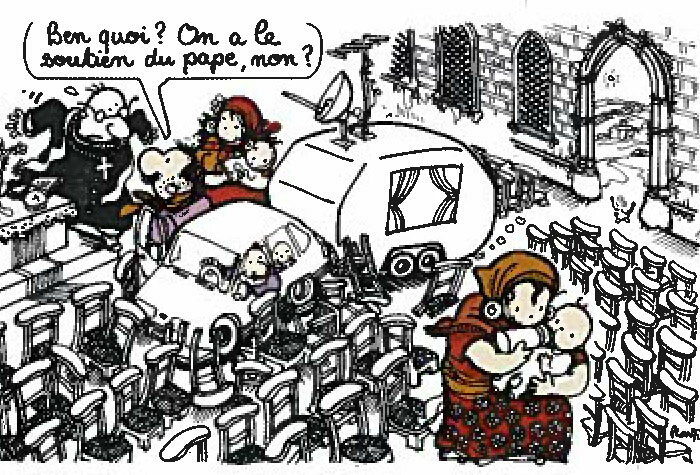 In light of the past weeks’ and Sunday’s news of the breaking up of Roma camps in France, even removing them from buildings where they were squatting, we can look at one of Plantu’s political cartoons from August of 2010 in a different light. So much for Socialists’ beloved droit au logement. After all, that’s only for vote-buying purposes. All the Roma were to Socialist political supports was a useful political prop, yet one that they wouldn’t even go out of their way to be photographed with. quips Matthew Kaminski in the Wall Street Journal. The French economist and writer has for decades championed free markets in the birthplace of dirigisme. He is a man of the right who is guardedly upbeat about France's future under the first Socialist president in 20 years. And he's decidedly positive on the euro and the European Union. …In maintaining that the euro didn't cause the European crisis, Mr. Sorman echoes other conservative economists. Blame instead overextended welfare states that rang up huge debts, he says, and then the Keynesian stimulus spending after the 2008 global meltdown that added to the burden. Now, hard fiscal adjustments are finally being carried out across Europe. Deregulation in these troubled countries would be nice, too, he adds. … Doomsday scenarios also overlook differences among EU states. The Berlin Wall was replaced by a sort of sunshine curtain that separates a healthy, growing north from the basket cases of Club Med. Visit Berlin, booming Warsaw or the Estonian capital of Tallinn to escape the depressed mood of Paris. "I think you'll have a European revival coming from Poland, the Baltic States and Finland" says Mr. Sorman. "Just look at what they've achieved." … Mr. Sorman's case for the EU boils down to something you hear often from an Italian, or a Belgian and other citizens of ill-governed EU states and almost never from, say, a Dane or an Englishman. "Only Europe can protect the French from the French," he says. "If we weren't part of Europe, imagine our electricity bill or our phone bill. We might not even have the Internet." 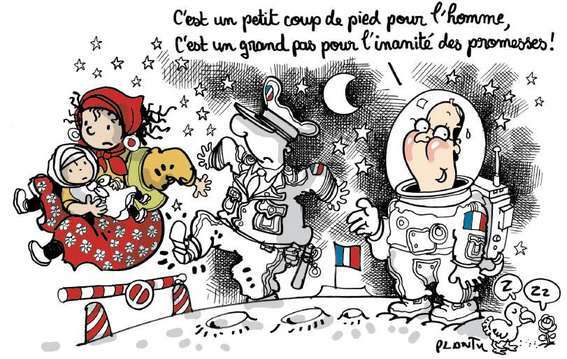 This cri du coeur pour l'Europe comes three months into Mr. Hollande's presidential term. The men know each other well. In the mid-1980s, during a brief spell as a journalist at the now defunct Le Matin de Paris, the Socialist party operative attacked Mr. Sorman's essays on economic liberalism. At the time Mr. Sorman was a rare French defender of Reagan. Three years ago, on a television talk show, the future French president suggested that Mr. Sorman take his liberal economic ideas and himself out of France. "This was a kind of anti-Semitic, bourgeois attack," says Mr. Sorman, who is Jewish. He says Mr. Hollande afterward told him he went too far and apologized, "and I said, 'I don't know if you went too far, but it does express your deep conviction.'" "For me," he adds, "Mr. Hollande is quite the conservative bourgeois type of provincial France—the people who hate money, who hate capitalism, who hate business. They think all these ideas are quite foreign to French culture and French genius." Much of the French right has also stayed faithful to what's called "a certain idea of France." From Charles de Gaulle on, presidents have glorified the small shopkeeper and kept their distance from more cosmopolitan CEOs of multinationals. 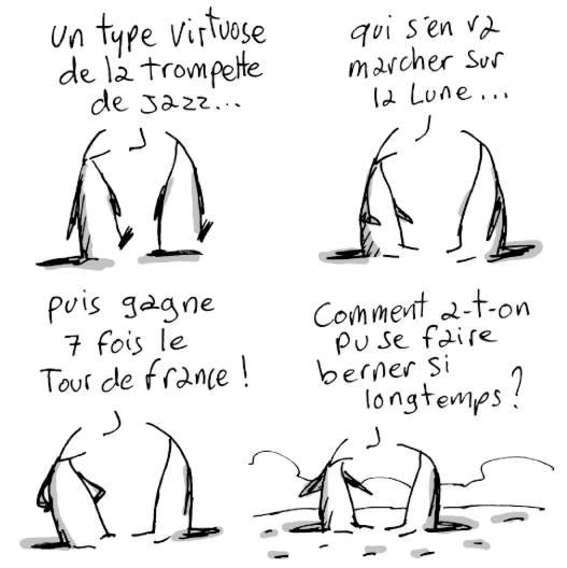 … The early signs in France aren't encouraging for the small band of free marketers. In addition to various planned tax increases, the new government has proposed to protect industry and resisted spending cuts. Yet Mr. Hollande's promise to bring the budget deficit to 3% next year from 4.5% to meet the euro-zone fiscal rules shows that the government knows it has to keep financial markets happy. His falling poll numbers reflect growing economic anxiety that might force his hand. The economy is spiraling down so fast, says Mr. Sorman, that France will be forced "to revert to free-market solutions." This is his other optimistic scenario. "It's very rare that a nation chooses decline," he continues. "I don't think the French will choose decline. It's a young nation with many young people who want to find work." De Gaulle had a famous line about the impossibility of governing a country with "246 different kinds of cheese." Mr. Sorman sees it differently. "The problem," he says, "is not the number of cheeses. The problem is the false consensus propagated by the chattering classes that the ruling government elite knows best what is good for the country, that the genius of France is to be ruled from above by a clairvoyant state bureaucracy, that the free market does not belong to French history—and if you are against this you are a traitor." Before French audiences, Mr. Sorman often invokes the names of Frédéric Bastiat, Alexis de Tocqueville and Jean-Baptiste Say to show that liberal economic ideas aren't alien to French soil. "I tend to feel lonely," he says.